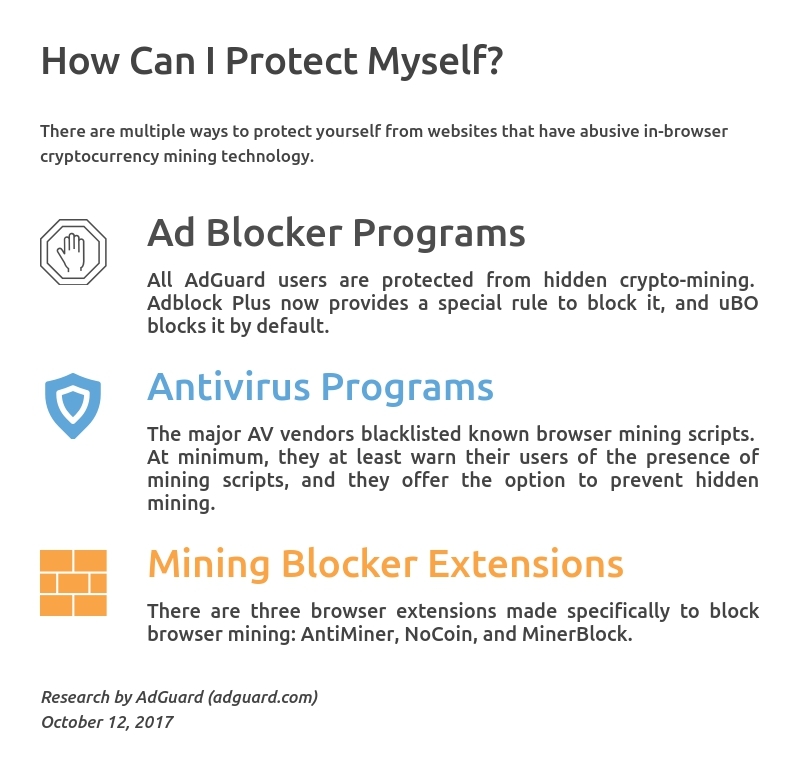 We at AdGuard have also updated our apps in order to restrict mining. But we do not accomplish this by simply silently blocking it. Instead, we offer our users the choice to let a site mine, or to forbid it to launch mining in their browsers. With this approach, we achieve two goals at the same time: prevent hidden mining and expose websites attempts to abuse the technology. Any alternative to advertising is a good thing. 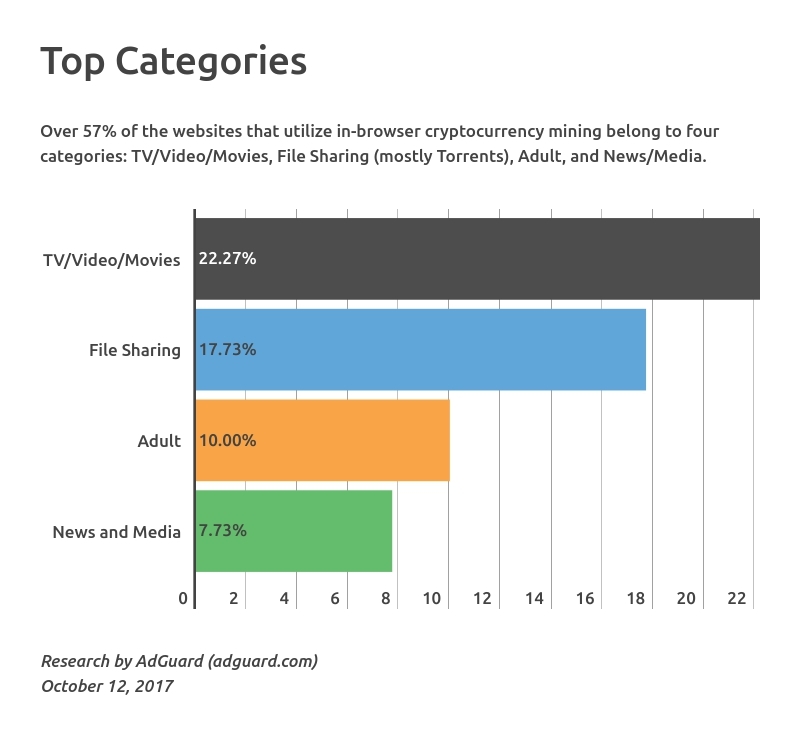 Ads annoy, so more and more people use ad blockers and simply do not see ads. 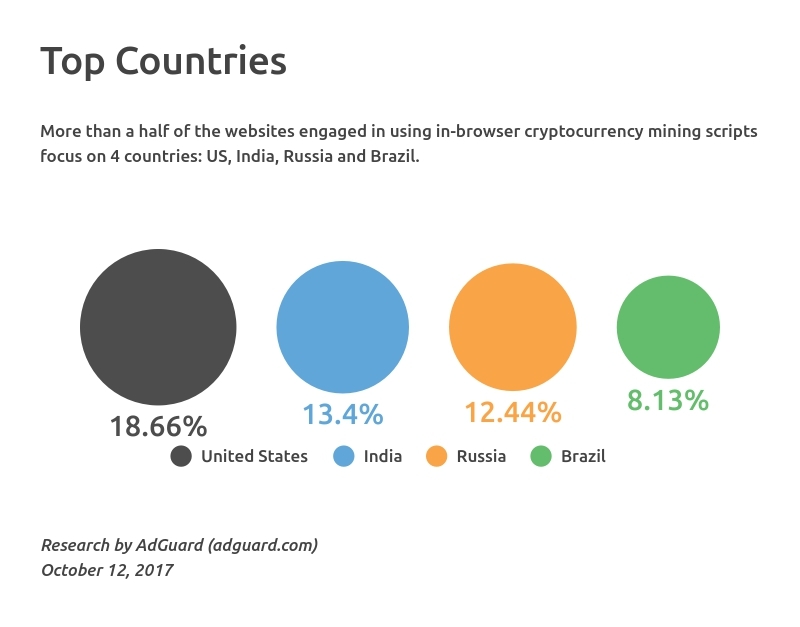 Ads, after all, abuse users’ device resourсes -- the same thing mining is criticized for. But what do we have besides ads, if we want a non-ecommerce website to feed us or at least to feed itself? We know that ideas like paid subscriptions and donations are truly at the end of the list. Of course, there are vehicles like crowdfunding, investments, and IPOs, but to put it mildly, these sources of capital are not accessible for everyone. UPDATE 1: Initially, the article contained a mistake - 220 of 100k is 0.22%, not 2.2%.